@sullybaseball I’m as big a fan of jeter as the next sox fan, but what’s with the #2 patches on the Yankees unis? 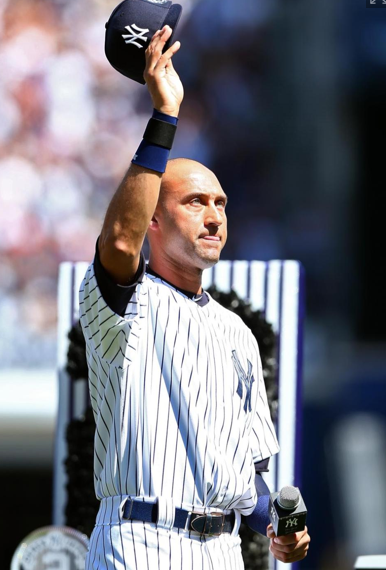 Look, I know Jeter is respected and I’ve shown him more love than most Red Sox fans. But the logic of today’s celebration totally eludes me. Albert Pujols, Buster Posey, Corey Kluber, Johnny Cueto, Jonathan LuCroy, Eduardo Escobar, Scott Feldman and Dillon Gee all added to their totals for Who Owns Baseball? Posted on September 7, 2014, in 'SullyMetrics' and tagged 2014 New York Yankees, derek jeter, new york yankees, Paul Francis Sullivan, Sully baseball daily podcast. Bookmark the permalink. Leave a comment.